With quotes like those – how could you not like this man? Something that has struck me many times is the emotion Joe Kenda seems to have for the victims. He doesn’t work off of a script, simply talks to the viewer, and sometimes, at the end of an episode, he chokes up while talking about a victim. It’s a very nice thing to see a man who has dealt with murder so many years show us how much police officers feel about the victims. Debbie, I hope you enjoy the show. We truly look forward to every new episode they air. I too love Homicide Hunter, strictly due to Joe Kenda. I am so glad to know the episodes are on Amazon streaming. I can now catch up on the few I have missed. Thank you. Rosie, if you haven’t gone on the ID channel’s site and watched those interviews between “the two” Joe Kendas, make sure you do! They really are very Joe Kenda-ish. I love ID & Homicide Hunter is one of my favorite shows! Not at all “cozy” but definitely interesting. Carolyn, he certainly tells it like it is! You’re right: Not at all “cozy”! You said it so well, I can only add that it is my favorite show on ID. When Joe says, “my, my, my,” you know the case is solved. Rebecca, the husband of one of my mom’s care providers is a deputy who knows people who used to know Joe Kenda. They have told him that what you see on TV is exactly what he’s like. Count me in ladies: I love this show and Kenda is as real and honest as they come. He really gets choked up when children and women are victims. I’ll be right on it when the new series starts but once in a while, they’ll air on Tuesday around 5 and 6 pm. I watch all the reruns and will be right there to watch the new season. I hadn’t seen the interview with Kenda and the young Kenda (Carl Marino) is an excellent actor. You also see the total dedication to giving the victim a voice and being no nonsense about catching the killer (s). Rob, it sounds like you’re a Joe Kenda fan! Be sure to take a look at those Kenda on Kenda interviews. They’re very short, but quite a bit of fun to watch. Would you please point me in the right direction. I would LOVE to see it. I am so happy Kenda is coming back. Another GREAT true detective show is Cold Justice on Friday evenings. These ladies track down killers in real time and there will soon be a spin-off. Love, love, love this show along with a couple of others on Investigation Discovery. Homicide Hunter is my favorite show on ID purely because of Joe Kenda. Having an inside seat to the way he thinks and works a case is an enlightening look at a detective’s mind. Now I’m anxious to watch the “Joe on Joe” interview. Thanks for letting us know about it. MaryGrace, there are several “Joe on Joe” interviews. I just watched some of them again. They are terrific! Lt. Joe Kenda – Kenda on Kenda – Will I Be Rich? Thanks, Danna. I’m anxious to check them a out! I don’t have cable but there is a channel called Escape in the Dallas/Ft. Worth area that you only seem to get with an antenna and it has something similar to this and also forensics programs. Ann, Escape sounds like a great channel. 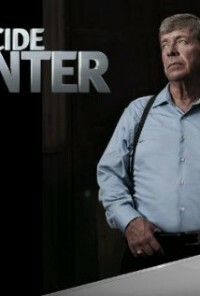 If they show Homicide Hunter on it, be sure to give it a try. I’m another big fan of Joe Kenda & Homicide Hunter. So is my dad. One of my favorite catch-phrases is when he looks at the camera and says “Oh, really?” where he draws out the word “really”. I giggle every time. So looking forward to the new season! Vicki, I know exactly which “Oh, really?” you’re talking about. He’s a kick! My husband and I LOVE Detective Kenda and Homicide Hunter! His ‘catch-phrases’ are awesome and we find ourselves uttering his “my my my” or “Oh, really?” to each other whenever something pops up that we weren’t expecting. That being said, we value that he is a voice for those who no longer have a voice, and that he sees things through to the end for each person he comes across in his work. We’re so looking forward to the new season! Janice M, it sure looks like a whole lot of us are looking forward to Homicide Hunter’s return. I remember one particular show about a little boy whose father was a total jerk-of-a-human being, and how choked up Joe Kenda got while talking to the camera. It was very touching.